At The Financial Literacy Group we believe in the adage “Confidence is having done it before.” We are confident we can deliver results in the financial literacy and consumer protection spaces because we have done so for years, as individuals and as a team, at the highest levels. Our team members have worked with presidents and prime ministers, prestigious think tanks and universities, market leaders and market makers as well as the most respected NGOs and multi-lateral institutions. We would be happy to talk with you about how we may help your organization reach its objective. While each engagement is customized to our client’s needs, below are the five categories of services our projects generally fall into. We create evidence-based financial education programs that engage target audiences, make efficient use of resources and overcome distribution challenges, all while measuring impact to make possible continuous program improvement. These programs can take many forms including national financial literacy websites, school-based programs, employee education, teacher training, web and mobile applications and interventions specifically for low income consumers or other populations. 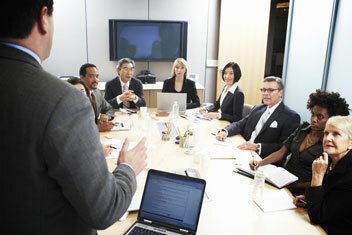 Our experience in developing strategies for public and private organizations is unmatched. Our experts have worked with central banks, ministries of finance, consumer regulators and other agencies to develop national strategies for financial literacy for seventeen countries on six continents. We have performed strategic analysis for companies on how to use financial literacy to change customer behavior, ignite employee engagement, enhance corporate reputations and as part of an overall blue print for strategic philanthropy. For other organizations we have performed competitive analyses, environmental scans and other customized studies using our decades of experience and worldwide connections. We help program providers and funders find out if they are getting their money’s worth. Ultimately the goal of every financial education program is to make a lasting change in the behavior of individuals, but too frequently programs instead get measured by their number of participants, books distributed or years in existence. By contrast our professionals use a variety of evidence-based evaluative tools to calculate a program funder’s return on investment and to determine how it might be improved. For instance, if a client seeks a thorough evaluation we will collect and interpret new data by conducting randomized controlled trials and/or focus groups to assess the impact of a financial literacy intervention. In other cases we’ll conduct a program audit to compare a program against its provider’s objectives using existing quantitative data, user interviews, the latest academic research and widely held best practices. Still other clients ask us to critique financial literacy programs to help them determine if they should fund or continue to fund a particular program. In those cases we offer a professional, objective opinion on the program’s full profile including its materials, distribution, efficiency, leadership, reputation and other factors our experience shows are critical to a program’s ultimate success. Our research has empowered governments, companies and NGOs with insightful answers to important financial literacy questions. In their prior experiences, our experts have been responsible for developing national financial literacy surveys in two nations. Through the use of polling and interviews we have conducted market research to help companies better understand the financial knowledge and attitudes of potential market segments for new products and services. Additionally we have conducted competitive mapping to determine how an organization may play a unique role in the financial education space and learn how to gain an advantage over other programs when looking for program participants, partners and funders. Over the years multiple clients have requested our experts share their experience in a variety of customized formats. We have provided speakers with unique presentations at a variety of meetings, conferences and training sessions for regulators, policy makers, executives, educators and others with an interest in learning about the best research, theories and practices in financial literacy. Additionally, in their prior roles, our experts have led national multi-media public service announcement campaigns and designed and deployed social marketing campaigns to reach specific audiences and mobilize them to take certain actions regarding their money.